A seating plan is a scheme showing a set of seats of some place. Seats can be grouped in rows like in stadiums, or be separate. Seating plans are used on different occasions. Foremost, such plans are used for different entertaining establishments. Seats can be numerated, which allows spectators to choose them beforehand, which is useful for cinemas or theatres. Reserved seating system has many other advantages too. It is possible to reveal when there are more clients than seats, so no overselling situation can happen. Customers choose places considering their proper price range and have a guaranteed seat. In addition, there is no point to arrive at the event early. One more argument in support of reserved seating system is that it is easier for security team to prevent accidents. 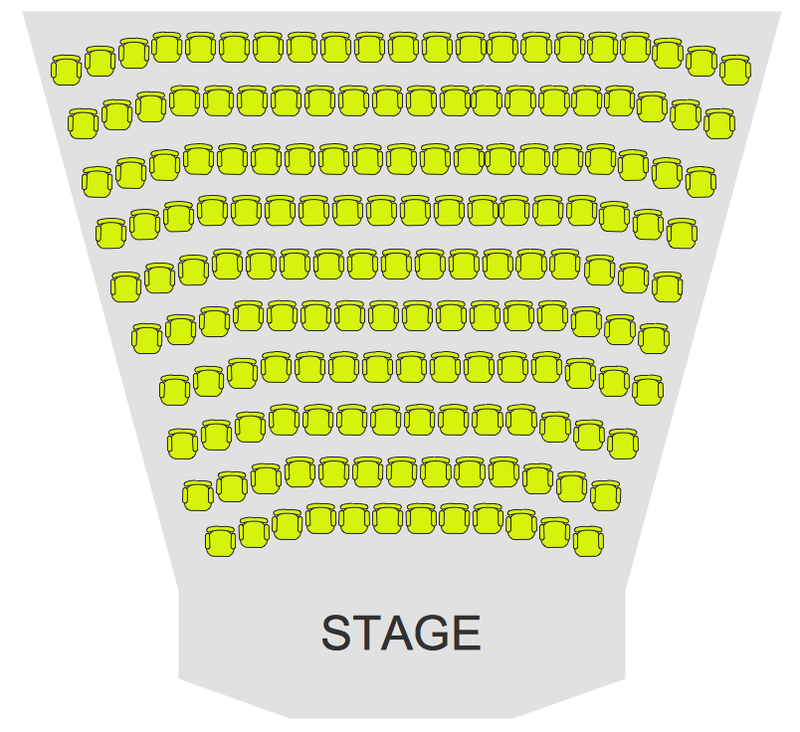 The main disadvantage of this system is that it more difficult to sell tickets, because the best seats cost more. Another way of looking at this question is an open seating scheme, where each customer has an entrance ticket without an assigned seat number, which allows taking any free seat. General admission seating also is profitable for promoters, because tickets can be sold at an equal price and can be sold faster. Also, customers can change their places during the event. The main disadvantage of this system is that overselling is almost undetectable. In addition, one have to arrive at the event quite early to take a good seat and not to leave that place for too long, because it can be taken. It is also worth mentioning that there is a possibility to mix these systems. Seating plans can be used for many other purposes, for example, for a wedding, or for a banquet. Sometimes it is very important to assign guests to a specific seat or table, when you want them to get on well. ConceptDraw has examples and templates for designing Seating Plans. Use it to develop the plans of bleachers, grandstands and seating. ConceptDraw has 1493 vector stencils in the 49 libraries that helps you to start using software for designing Seating Drawing. You can use the appropriate stencils from Seat Blocks library with 18 objects. This theater design sample shows how ConceptDraw DIAGRAM can help you visualize solutions to complex problems. The Seating Plans Solution with seating chart templates and Seating Plan Library with its ready-made clipart does most of the heavy lifting. Have you ever wanted to start your own cafe? To imagine any possible options, try Cafe Floor Plan Design Software now for free 21 day trial. This will allow you to use all the ConceptDraw DIAGRAM v12 main features. Here is an example of a multi-page document consisting from the various options of interior design and plans for arranging a cafe. This document can be used as a basis for the development of a professional designer portfolio. It was drawn using ConceptDraw Cafe and Restaurant Plans solution. The solution supplies vector libraries, templates and samples that are released to assist amateurs and professionals to draw the i designs of interior and furniture layouts of the cafe hall and lobby. Public catering business will always be in demand.To attract a lot of clients, it’s important to have a detailed banquet hall plan, a diverse menu and reasonable prices. If you want to create a good plan, you can use drawing software. When planning and considering the layout of a banquet hall, one must take into consideration, that it is very significant to make it stylish with correctly selected appointment and celebratory belongings. Tables and seating must be handily arranged. The furniture arrangement can changes depending on client requirements, kind of banquet and amount of guests. ConceptDraw Cafe and Restaurant Plans solution supplies a dozens of predesigned vector graphic objects of banquet furniture and accessories. Thus you can design the Banquet Hall layout for the celebrations in any style and any number of guests. Professional building designs for creating unique looks, such as bleachers, grandstands and seating and more.